﻿ CarMax Review: Is CarMax a Good Place to Buy a Car? Home Auto Insurance Guides CarMax Review: Should I Buy From CarMax? CarMax Review: Do They Make it Easier to Buy a Used Car? CarMax, a national chain of used-car dealerships, has grown rapidly over the years — and for good reason. The company promises a no-pressure, low-stress buying experience. But does it deliver? We’ve chatted with both buyers and sellers, plus compared the service to other car sellers in our comprehensive CarMax review. When people think of buying used cars, it’s typically filled with dread. You “spend hours researching car options online, test-drive countless cars, then negotiate a price while the salesman tries to pressure you into souped up models and expensive upgrades. 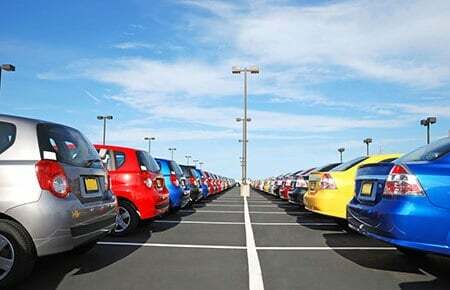 CarMax is the first significant attempt to change the image of used car dealerships. 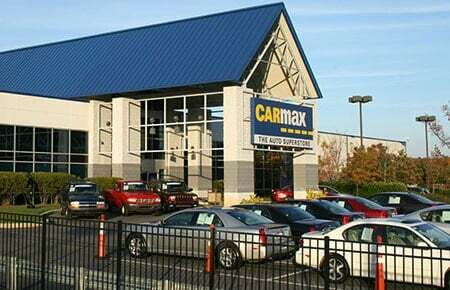 Electronics retailer Circuit City branched out into used car sales by opening the first CarMax in Richmond, Virginia, in 1993. The company set out to give customers a car buying opportunity without the games and wasted time, and with a fun experience and the security of a sound warranty. Since that time, this dealership has grown to become a Fortune 500 company with over 150 used car stores across the country. Why Not Shop for Car Insurance? We spoke with a few buyers and sellers, and our general opinion is that yes CarMax is good. The sellers enjoyed their car sales services because the price offered – while a bit under full value – was fair. 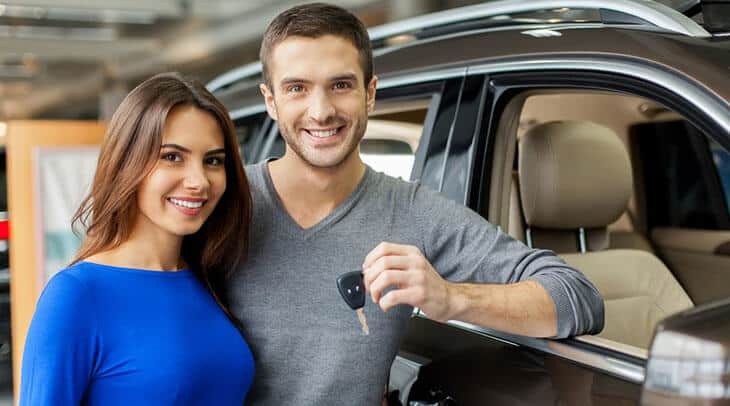 The buyers liked the car buying experience because of the wide selection of vehicles, the fabulous customer service and the slightly more expensive, but easy, buying process. The CarMax extended warranty also came in handy for several of our happy customers. One customer even spoke of it covering the cost for several expensive repairs soon after buying the car from them without harassing them about the problems. The CarMax experience begins online, where you may browse car by make, model, features or even mpg. If you see one you like at a dealership in another city, you can request to have it transferred to a location near you. Then go for a test-drive. If you like it, simply pay the sticker price — there’s no haggling. Plus, every car goes through an extensive inspection process and includes a 30-day warranty (60 days in Connecticut, and 90 in Massachusetts and New York). Change your mind? they offer a five-day money-back guarantee on all used car purchases. Another attractive feature for car buyers is CarMax’s offer to buy your old car, regardless of its age or condition. If it doesn’t meet the company’s quality standards for resale, it will be auctioned off to other dealers. Here’s what we discovered from using their service ourselves. If you go to a dealership, you can only drive that company’s make and model. Here, you can test-drive lots of brands all at the same location. CarMax guarantees that its cars have never been designated salvaged or flood-damaged, which are two hazards of buying from a private seller or a less reputable dealer. Their vehicles have that “new car” feel. The company thoroughly cleans and refurbishes its vehicles so they look good inside and out. The customer service is great: from helping customers test-drive plenty of cars and answering all their questions, to following through on extended warranty replacements, CarMax is praised across the board for the people it employs and the hassle-free process. Their prices aren’t as low as other dealers’. The Truth About Cars analyzed the sales prices of similar vehicles on eBay and CarMax and found that their prices were consistently higher, often by a few thousand dollars. That’s because they have more overhead, which the site points out. While selling your car to CarMax is easy, the company says clearly that they’ll buy it for less than retail value, because they have to inspect and resell it. You may want to get an offer from other dealers or check the Kelley Blue Book value first. You may have to pay a nonrefundable fee to transfer a vehicle you’re interested in from another location. How Do They Compare to Other Car-Buying Options? CarLotz is a private seller on steroids. The company will help prep your car for sale and list it, but it’s up to the seller and buyer to negotiate their own prices and complete the sale. If you want to play an active role in your car sale, then CarLotz might be for you. But if you like the idea of selling your car without having to participate, CarMax is a better option. Carvana is another car buying option, which takes place almost entirely online. You can browse cars online, buy your car without haggling and then it will be delivered. If you’re comfortable buying a car entirely online, Carvana saves you a trip to the lot. However, if you want to test the car before committing, CarMax is a much more hands-on experience. TrueCar uses data collected on previous sales to give buyers an estimate on what they can expect to pay. Once you search around and find the car at the price you want, TrueCar connects customers with trusted dealers to complete the deal. If you don’t know where to start your research, TrueCar is a good tool for you, but if you’re comfortable doing your own search, then TrueCar won’t help you much. Another option is to buy your car from a private seller. This can be someone from Craigslist or your neighbor down the street. Buying directly from the seller can give you more details about the car, as well give you a leg-up on negotiating. Without a company doing an official check-up of the car, this option might also be risky. If you’re confident in your car knowledge, buying from a seller directly might be for you, but if you want a middle-man for peace of mind, then CarMax might be a better idea. Their biggest appeal is how simple it makes the used-car buying process. If you want a no-pressure, no-hassle and low-risk car-buying experience, CarMax can make that happen. However, if your primary goal is to get the best price on a used vehicle, and you enjoy the art of negotiation, you may be better off buying online from a dealer or a private seller.